Brunch is probably one of the most popular meals in our home. We definitely look forward to our weekend brunches at home or out with friends. Its healthy, filling and I know I enjoy it a lot because it typically involves mimosas! When I think of brunch, the first thing that comes to my mind is eggs, followed by hash browns. This recipe really combines both of those together. 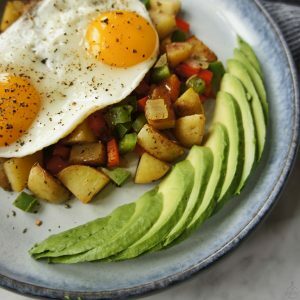 This Healthy Breakfast Hash recipe really came up on a random weekend when we were trying to figure out we’d like for brunch. 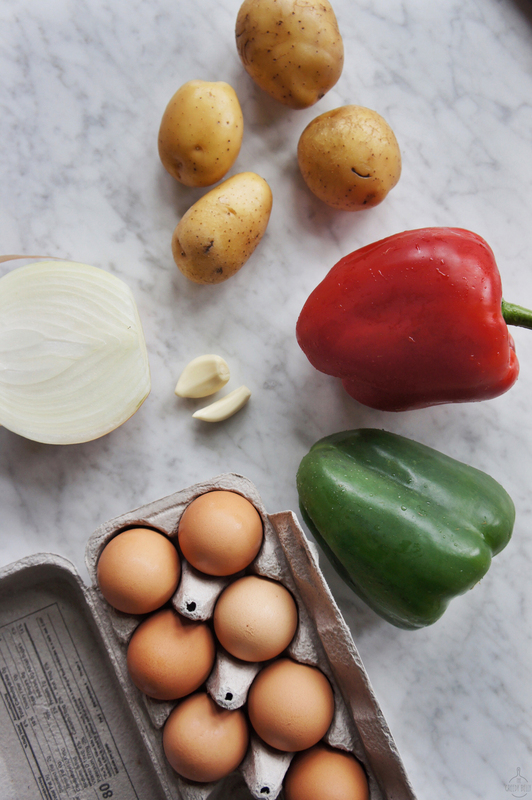 We were wishing for something more than just scrambled eggs or an omelet. 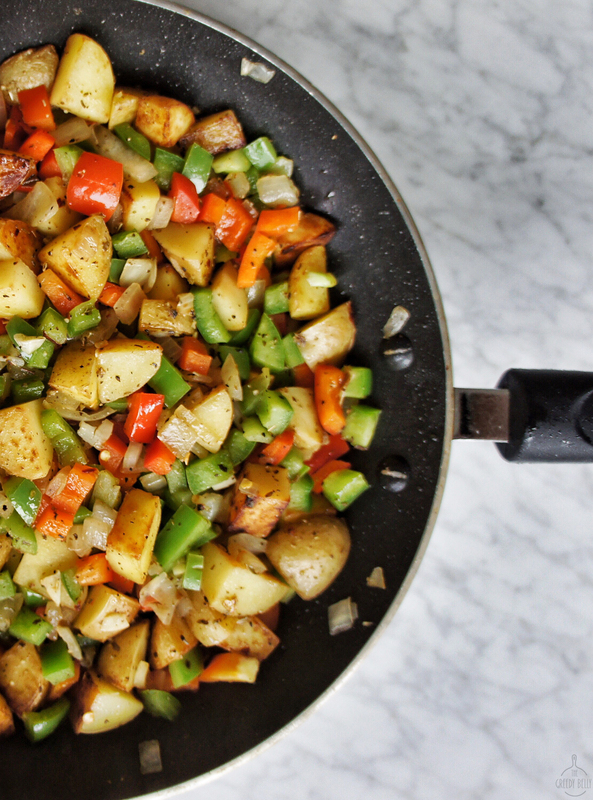 I knew we had a few peppers and potatoes in the pantry, and decided to put them together for a real quick hash. I added in some dried Italian herbs, chili flakes and hot sauce for some extra flavor and topped it with a fried egg. Easy peasy!!! 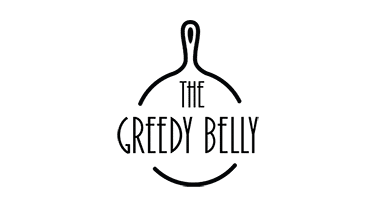 This is recipe is very basic, and can be put together with your everyday pantry ingredients in no time. Its perfect for a lazy weekend brunch in your pajamas!! Who doesn't like brunch? 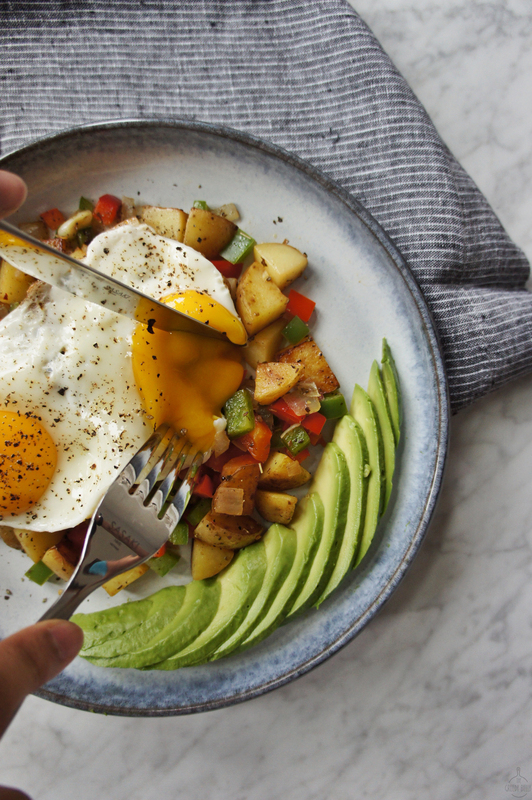 This brunch recipe is made with everyday pantry ingredients and can be put together in minutes! Once hot add the potatoes and vinegar. The vinegar helps to make the potatoes nice and crispy. Let the potatoes cooks for 5-7 minutes, until they start to soften. Now add the onions, garlic and bell peppers and sauté well. Add the dried herbs, crushed red pepper, salt & pepper to taste and a few dashes of the hot sauce. Cover with a lid and let all the vegetables cook for 5 minutes. Meanwhile in a separate small skillet, add 1/2 tsp of olive oil. Crack 2 eggs and fry them for a few minutes. 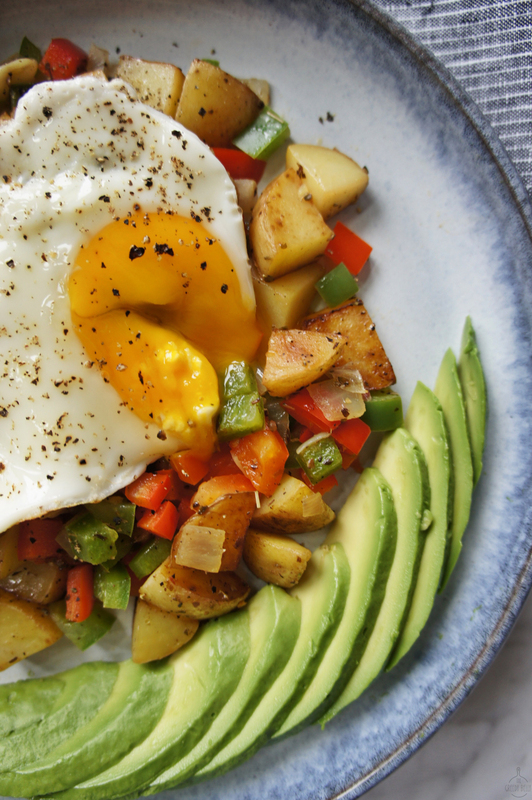 Be sure to leave the yolks runny. 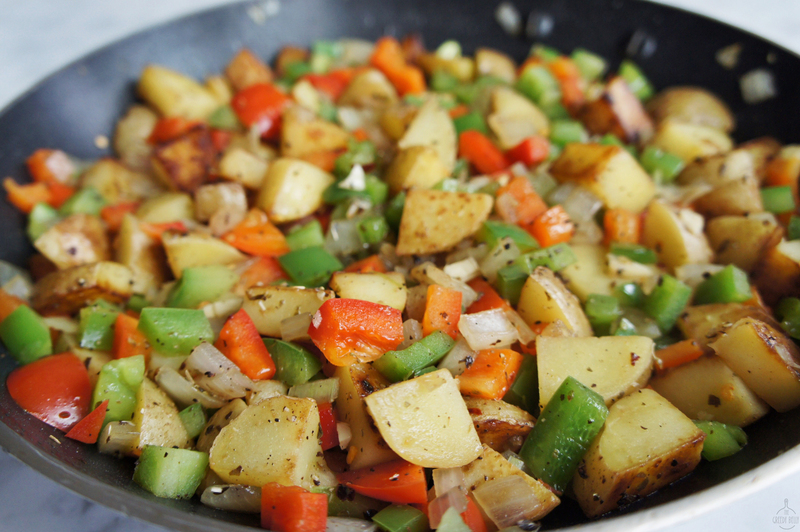 To serve: Place the pepper and potato hash in a plate. Top it with the fried eggs and season with salt and pepper. 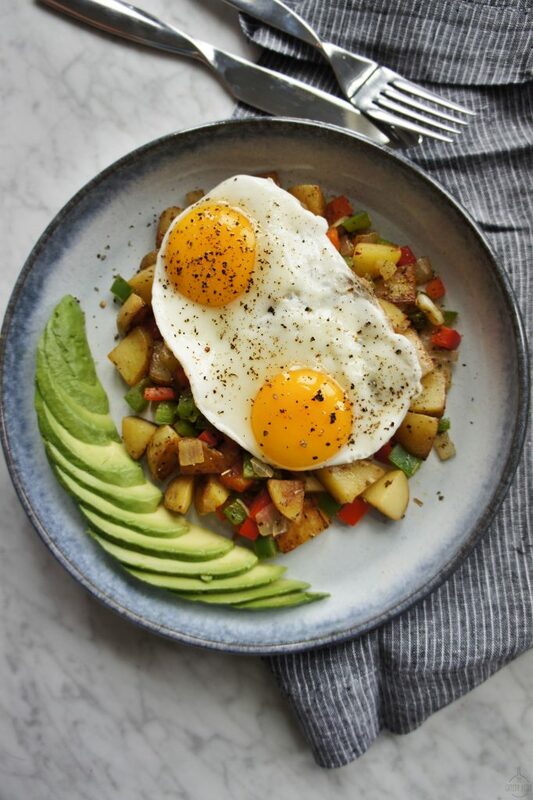 I love the combination of peppers and potatoes, this is a lovely looking dish, surely the perfect dish for brunch…with a mimosa!! Thank you so much, Dhara! Enjoy your weekend brunches! 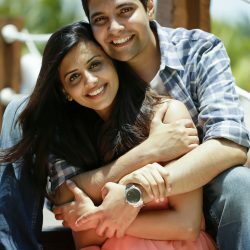 My wife and i ended up being so cheerful that Edward managed to do his researching because of the precious recommendations he had when using the web site. It is now and again perplexing just to happen to be giving for free facts that a number of people could have been selling. Therefore we see we have the writer to give thanks to because of that. The illustrations you made, the simple site menu, the relationships you can make it easier to engender – it’s got most sensational, and it’s really facilitating our son in addition to us know that that concept is enjoyable, which is certainly tremendously vital. Thanks for all!